Applauded by The Strad for his “brilliant and compelling programming,” Sam Suggs is the first solo bassist in 36 years to join the Concert Artists Guild roster, and was recently recognized with an award for Extraordinary Creativity at the 2017 Bradetich Foundation International Double Bass Competition. 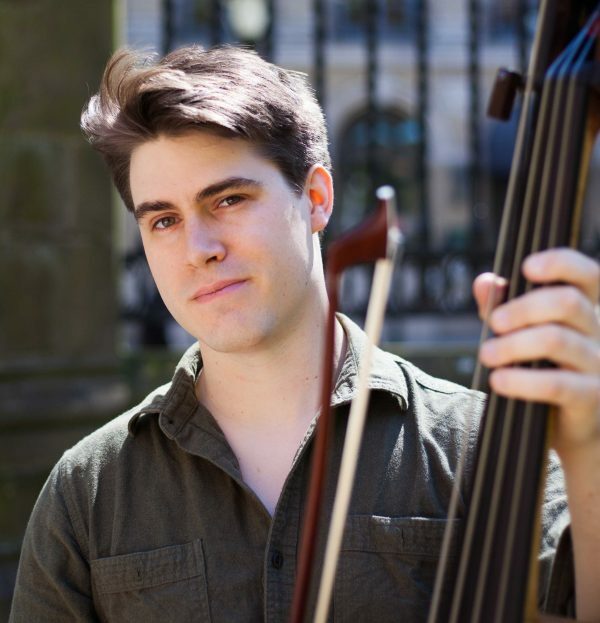 A paradigm-shifting performer-composer, Sam was named ‘New Artist of the Month’ (October 2015) by Musical America after winning 1st place at the 2015 International Society of Bassists Solo Competition while performing many original works. As a collaborative bassist, he has performed at the Mostly Mozart Festival, Yellow Barn, Chamber Music Northwest, Lincoln Center, Carnegie Hall, the Kennedy Center, and with the Argus Quartet, PUBLIQuartet, Founders, Frisson Ensemble, and his contemporary/jazz trio Triplepoint. A native of Buffalo, NY, Sam spends his time between the Northeast and the Shenandoah Valley performing with various chamber, crossover, and contemporary groups, giving recitals and masterclasses, and teaching full-time as Assistant Professor of Bass at James Madison University.